Every time when I think I under-perform myself, I tend to have relatively longer period of unhappiness; at least, when I just compared myself to my husband who can simply enjoy life any time immune to the changing circumstances. Besides, it’s very tricking to view things just from my fixed lens. Well, it’s natural to be sad when things does not turn out to be that good, because being sad can help to hold us back, for reflection or change. However, to over-indulge in such blue would benefit you nothing except ruining close relationship to deprive you of the pleasures and nerving your brain to kick out all the creativity and productivity. The dilemma is that my rational mind wants to go one way; and my emotional mind prefers the other. And, the latter always wins. It’s suffering. The hidden logic running in my mind came to my realization last week; psychologically, I do have additional “wining”. 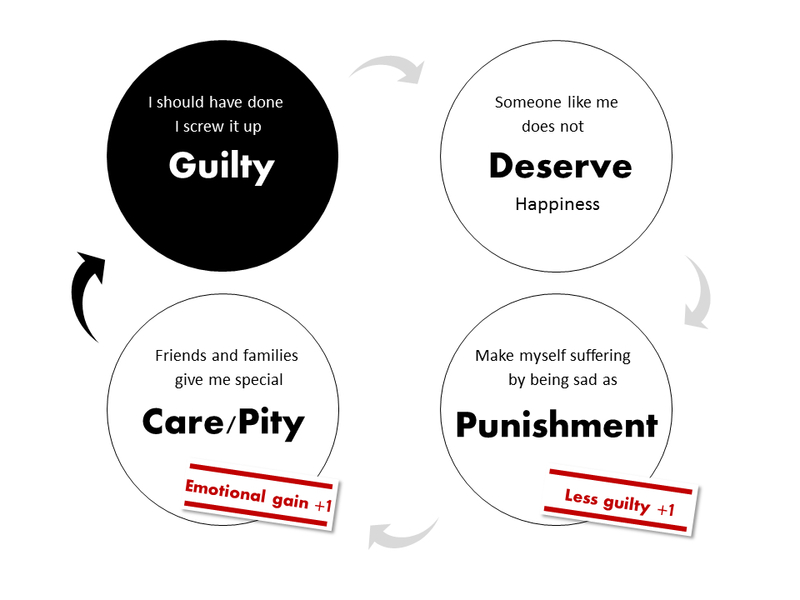 How to break the negative cycle?